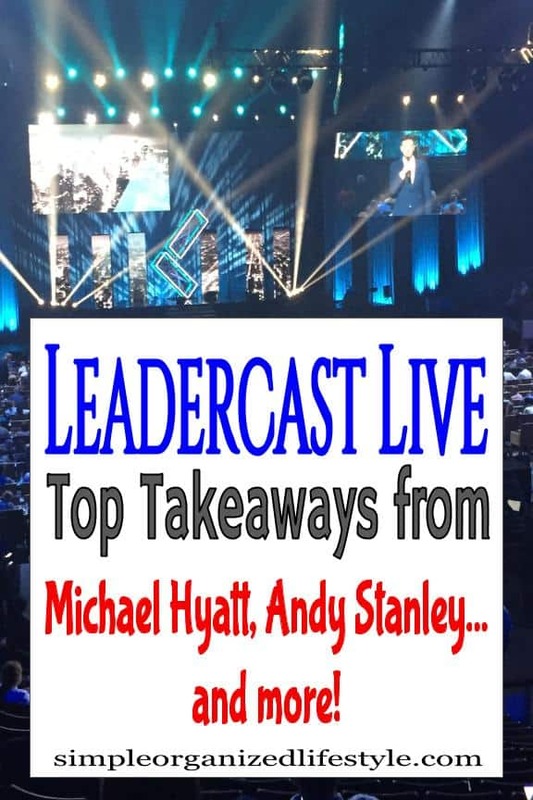 I recently attended Leadercast Live 2018. It’s a day filled with an incredible lineup of motivational and inspiring speakers who provide lessons to help people grow as leaders. The lessons they give are not just for those in leadership positions. It’s more about self-improvement and ways to overcome challenges. The speakers this year were very diverse in their backgrounds and experiences. That diversity brought a lot of unique perspectives and a wealth of information to consider for personal and professional development. 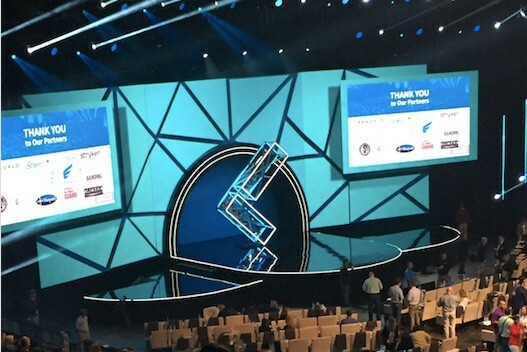 Last year, I shared my top ten takeaways from the Powered by Purpose theme. Here were my top ten takeaways from this year’s Leadercast Live event with the theme of Self-Leadership. Solid advice. It’s hard to lead others without starting with yourself first. It’s hard to obtain success by getting stuck on excuses that keep holding you back. Figure out your purpose and show up with a great attitude. Carey Lohrenz was the first female F14 fighter pilot. She talked about doing the most important work every day. I loved that she said to accomplish the most important work by putting your top three tasks on sticky notes and tackling them first. Keeping it simple, but getting it done! It was interesting to hear her talk about the pilot’s purpose to “aviate, navigate, communicate” and let everything else become details. Details are important, but those main three roles are non-negotiables when it comes to getting their jobs done. This was one of my favorite speakers/lessons from the day. In a nutshell, he said people chase happiness when it’s really purpose that creates happiness. He asked… was MLK Jr. happy? Lincoln? Ghandi? When we think of those leaders, happiness may not be the first description that comes to mind, but strong sense of purpose… without a doubt. He left everyone with this question: Life is a gift, what will you do with it? People often search for happiness and believe the answer is lots of money or material possessions. I would agree with Jim that it’s actually purposeful living that leads to improved health, wealth and happiness! This is the second time I’ve heard Kat Cole speak at Leadercast. She has hustled her way to success, starting as a waitress at Hooter’s and working her way up to become the group president of Focus Brands. Kat regularly checks in with her friends, family and coworkers about what she can start doing, stop doing or continue doing to grow and be better? Kat is a perfect example of a person with a strong growth mindset. Kat shares her secret to success and it’s so simple, but often overlooked in leadership. Listen to the customer! The customer will tell you what needs to be changed if you just ask. I think about this in my own job and how often leaders (do not) ask the customer what needs to be changed. Maybe once a year there is a survey given to our customers, but it’s done to check it off a requirement list. The people making the decisions have distanced themselves from our customers and it’s not surprising that we have lost a lot of them as a result. Self-care gives you energy, an edge and endurance. Love Michael Hyatt! He is the guru of productivity and I was all ears as someone who is constantly trying to improve in the area of productivity. Imagine my disappointment, and delight, when he pretty much said “time management is a myth!” Instead of managing our time, he talked about managing our energy and getting our energy from self-care. Self-care gives you energy, an edge and endurance to improve work performance. He made a great point that work and self-care go hand in hand and you need them both to be your best self. I’m so glad that Michael Hyatt talked about the real possibility and actuality of burn out. I believe this is why we’re losing so many people in leadership positions. It feels like hustle is prioritized over health. When people hit that wall of compromising those things they need and value most in their lives- health, relationships, hobbies- they decide it’s not worth it and leave. It’s getting harder to replace those positions! I value the “hustle muscle” and a strong work ethic, but I also know that stress steals joy and life is so much better when we make time for the things that bring us joy. Born without legs? Didn’t hold back Jen Bricker from finding a way to figure things out! She wanted to do the limbo in the skating rink and her parents put skates on her hands and just expected her to figure out how to do the rest. She won the limbo and went on to become a very accomplished athlete and acrobat. Jen gave a lot of credit to her adoptive parents for her success, but I bet it also had a lot to do with her contagious, positive attitude about life! Mae Jamison became the first African-American woman in space. I love that she chose her dream of being an astronaut over her fear of heights. She said instead of doubting herself, she dared herself! She did not let the fear of failure hold her back! Who better to talk about the importance of teamwork than a former hall of fame baseball player and manager? Joe Torre talked about each member of the team building trust and commitment so that they take ownership in doing their part to drive everyone forward. This is true of many relationships. There is much more that can be accomplished when people set their self-interests aside for the good of everyone! This conference was a great way to spend time on personal and professional growth!